Vintage Baseball Glove Forum • View topic - MLB Tribute to Heroes...VOTE for Jon Popovich! 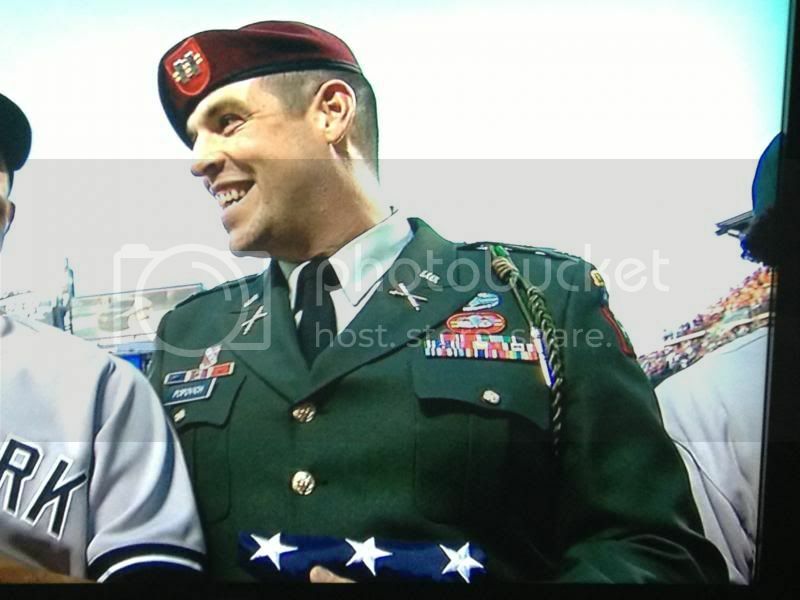 Re: MLB Tribute to Heroes...VOTE for Jon Popovich! Wow!!! That is awesome. Hope my 412 votes helped. I owe you a beer. DD wants to buy you one too (a confederate buying a Yankee a beer he said). Good job bud! Remember, Jon, there's a no facial hair policy with the Yankees! Absolutely right there, Jerry...my wife has been reminding me that I'll need to shave all day! Besides the Yankeee policy (of which I will follow given that I am choosing to consider myself a Yankee for the duration of the AS break), I'll need to wear my Army dress uniform which also means no beard. So, pay attention everyone...it'll be the first time in a decade that I'll shave clean...hope I still remember how. Congratulations! I voted several times each night and asked my Facebook friends to vote as well. So glad you won. Have a great time at the game. Congrats from Johnny Reb!! As a Southern Gentleman who keeps his word...JD has my $$ to buy a Yankee a cold Bewskie!! Thanks again for your Service and Bravery. If ever in East Tennessee give me a holler. Hi Jon, congratulations! Would love to hear about your army career and service? 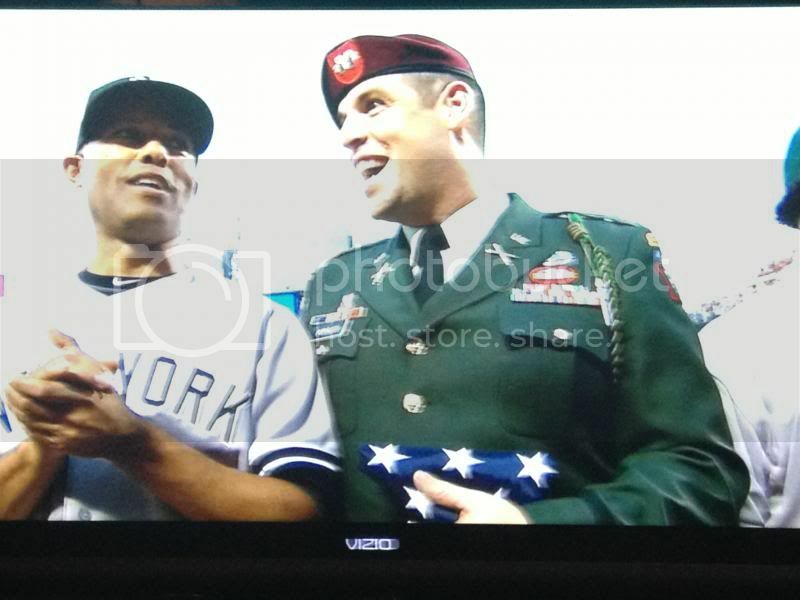 Jonathan just got his flag from Mariano Rivera. Congratulations Jon! That's incredible, what a day for Jon!! 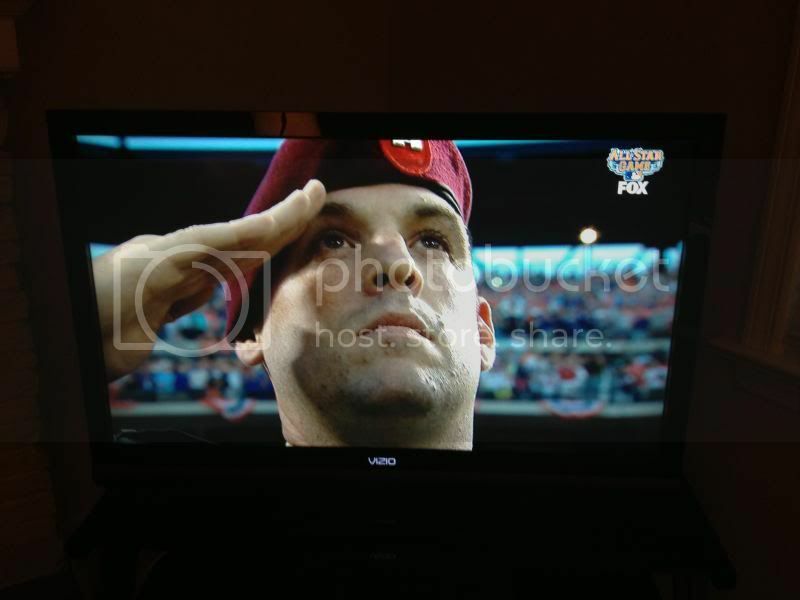 Got a text from JD from the game, hope he caught up with you Jon and you drank a cold one on me. Pretty hard to top that experience, allstar game,Mariano,On field, National TV!! Yep, we were all envious!! Congrats again!! !